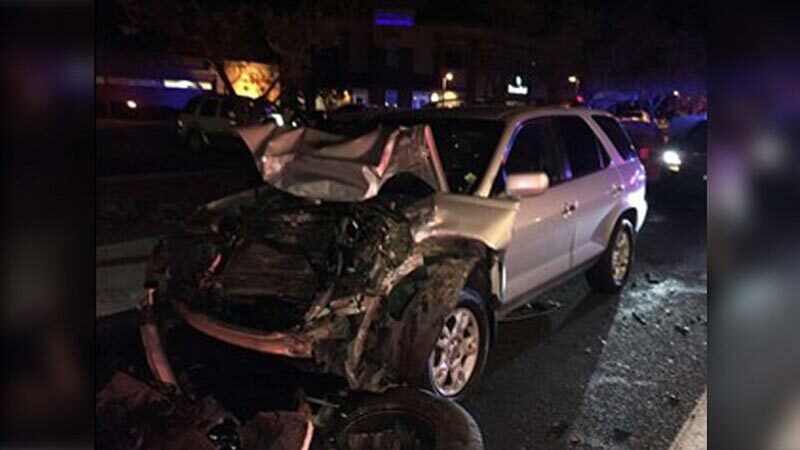 Prescott Valley, Arizona—The Prescott Valley Police Department responded to an accident with injuries involving three vehicles on Windsong Drive on Wednesday evening. According to PVPD accident investigators, Sabrina Collazo was traveling northbound on Windsong Drive when she failed to stop for a red light at Florentine Road. Her car collided with a red Chevrolet truck, pushing it into a grey Toyota truck. She voluntarily provided both blood and breath samples for testing. Her blood alcohol level registered .290. Collazo was placed in custody and faces charges for open container violation, extreme DUI, endangerment and criminal damage. The driver of one of the vehicles was transported to Yavapai Regional Medical Center for treatment of injuries. All three vehicles involved sustained significant damage which required towing. We wish swift and full recoveries for those who were injured.